January 27-February 2, 2019 CCHS will celebrate all aspects of being a Catholic school, forming faith-filled global leaders. 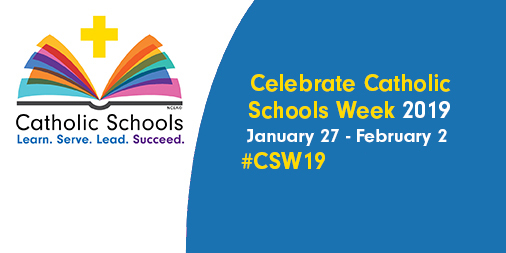 Click through for the #CSW19 schedule! Beginning on Monday, January 28 Camden Catholic High School will celebrate Catholic Schools Week 2019 (#CSW19) with a week-long series of events which showcase this year’s theme “Learn. Serve. Lead. Succeed.” Catholic Schools Week is a national annual celebration of Catholic education in the United States.